We ran into Diane and her mother at the beach today and had a great conversation. They are visiting from North Carolina and come to the beach looking for sea glass and other beach combing finds. Diane wasn't sure what she had picked up. 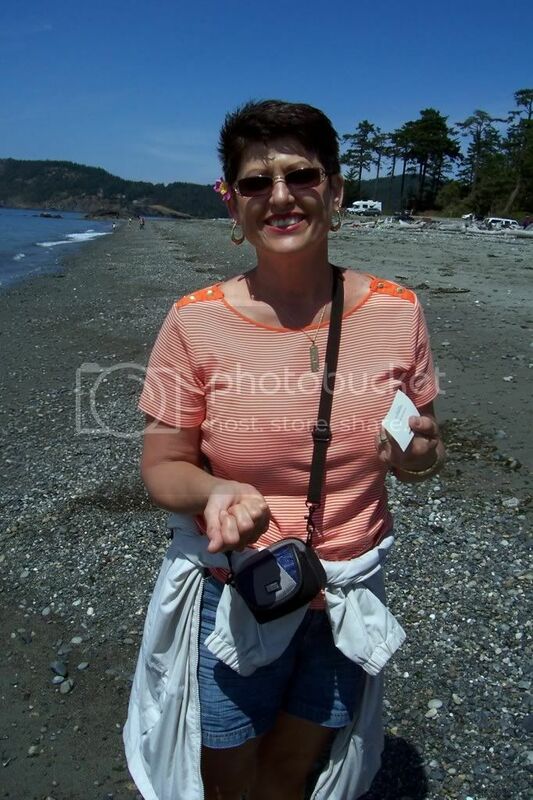 It turned out she had sea glass, interesting rocks, a piece of a shell, and an agate! It sure is fun talking to others. Everyone gets so excited! 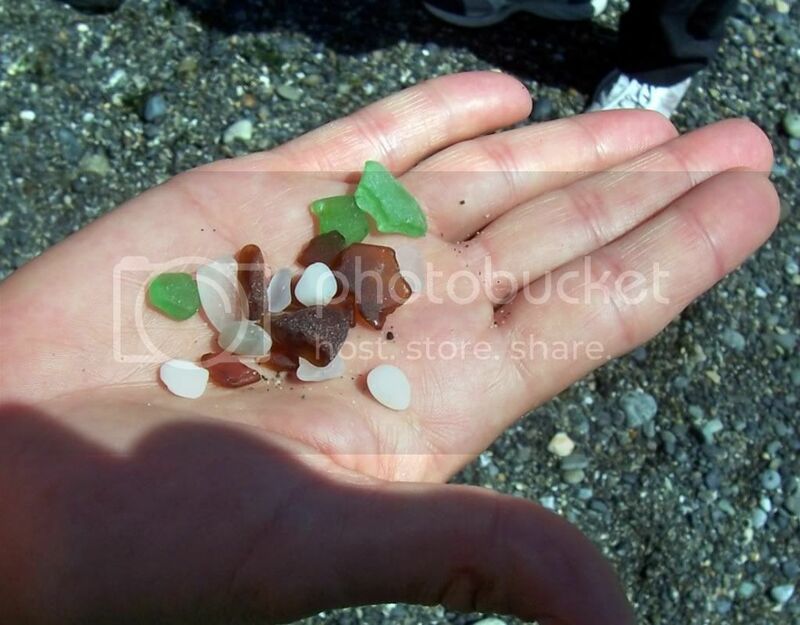 Beach combing is becoming such a popular pastime. Of course, it's as old as history, I'm sure, and all ages love it.